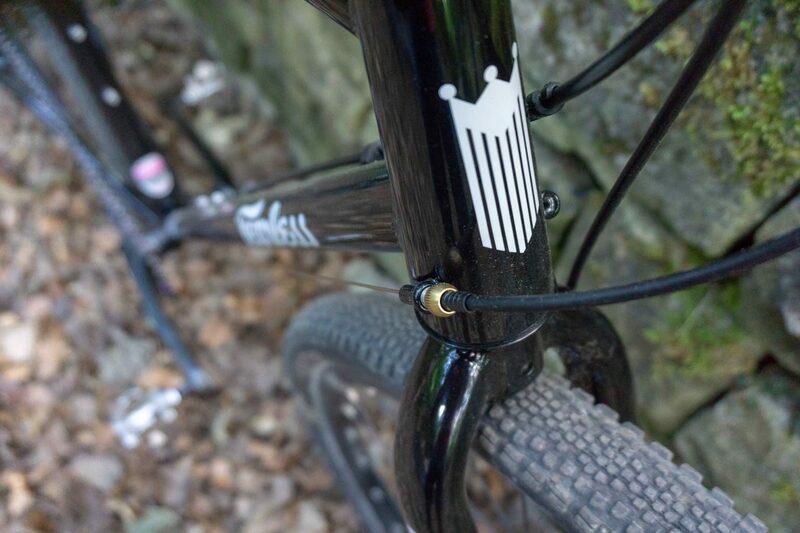 Sticking to a bit of a “steel is real” theme that we’ve been digging for the last few months the Fearless Vulture is coming in hot on the heals of the likes of the Bombtrack, Ritchey, Brother and Cotic bikes we’ve been testing recently. Well thought out front end. No cable rub to worry about, hopefully. 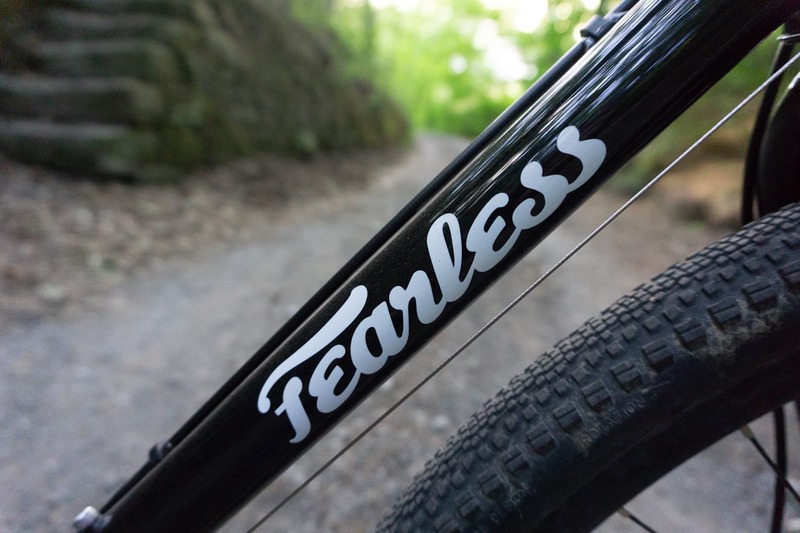 “Who the hell is Fearless Bikes?” you may be asking. 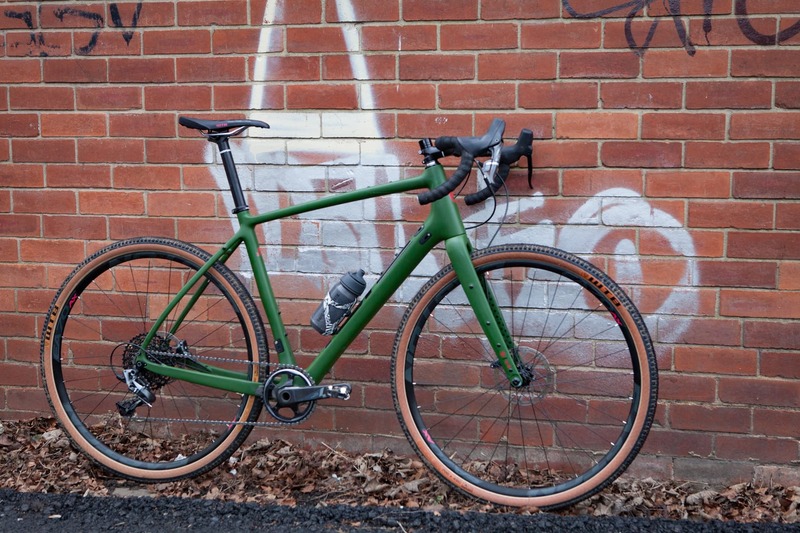 Well, we spoke to Mr Fearless himself, Tim, when the Vulture was launched. Check out the background to the company and the bike here. We won’t repeat everything in that story, but we’ve finally been able to get our hands on a build. 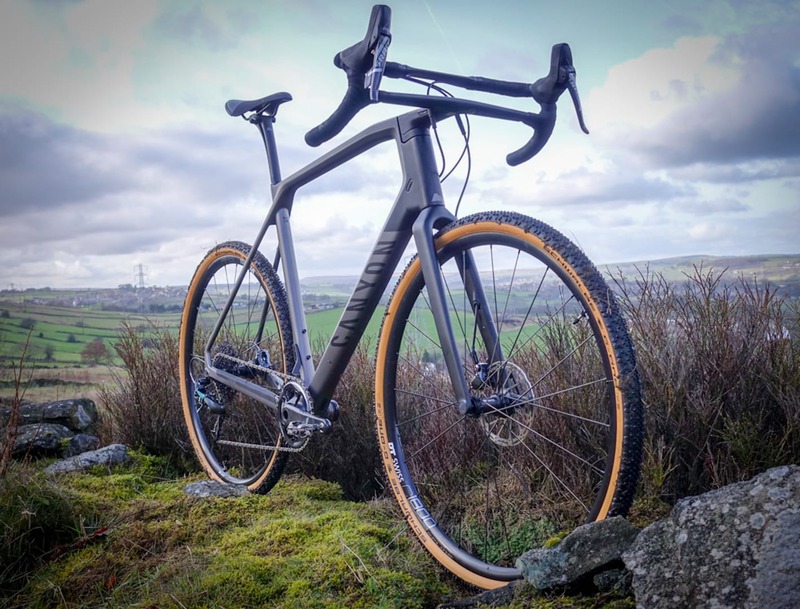 Designed to be a ‘road bike for the dirt’ – hitting the sweet spot between edgy cyclo-cross racer and long distance all-road machine. 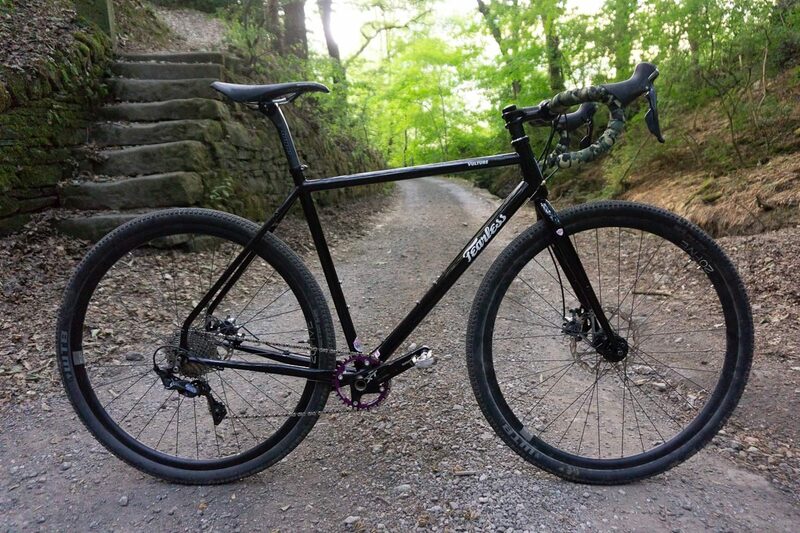 The Vulture’s wheelbase is shorter than a typical adventure bike so it’s quick handling with a taller stack than a traditional CX bike for longer ride comfort. 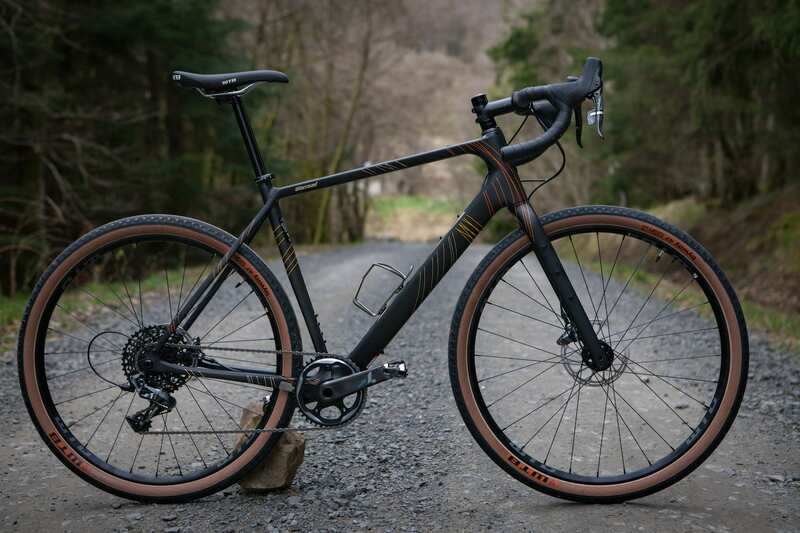 On one level the Vulture is a sensibly designed steel frame with touring capabilities but when you add grippy off-road tyres it becomes a fast drop bar off-road fun machine that will give you access to routes and trails that were previously out of bounds. 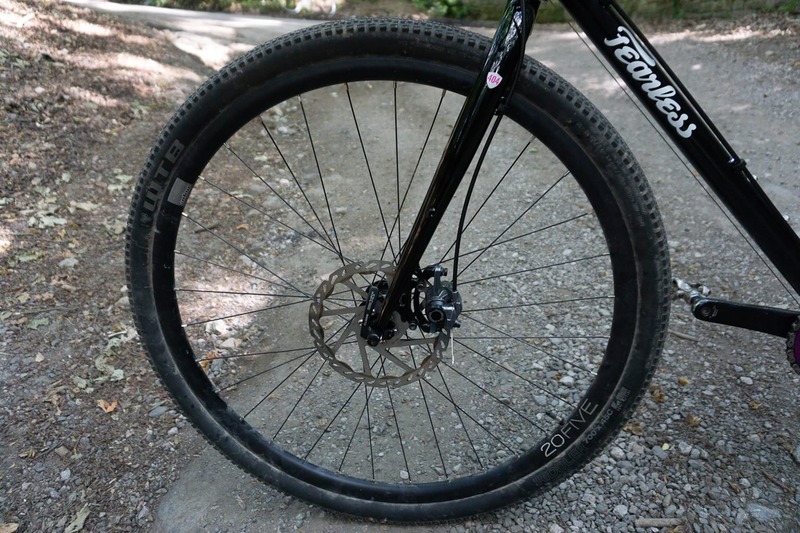 That ticks crack tester Antony de Heveningham’s boxes and he has big plans for the Vulture, including the Dukes Weekender and tapping out the miles while making the most of our outrageous summer. We’ll report back soon. 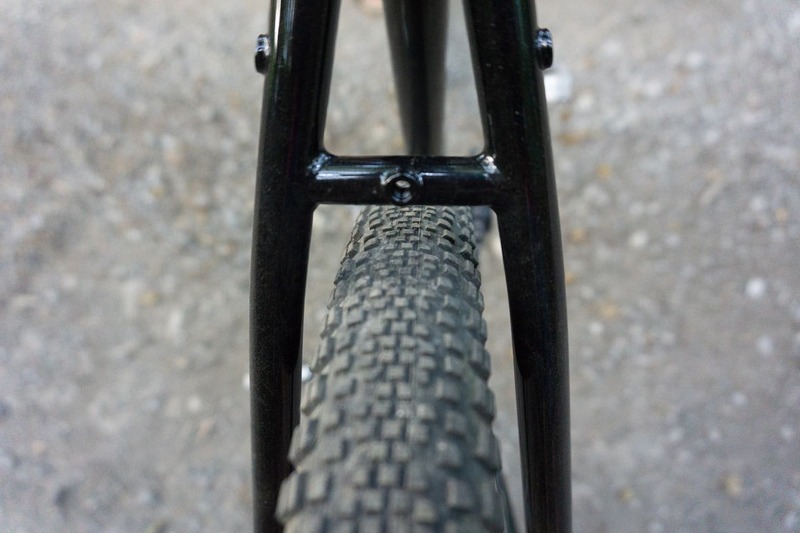 Weight is 2.1kgs for the ML/54cm frame. 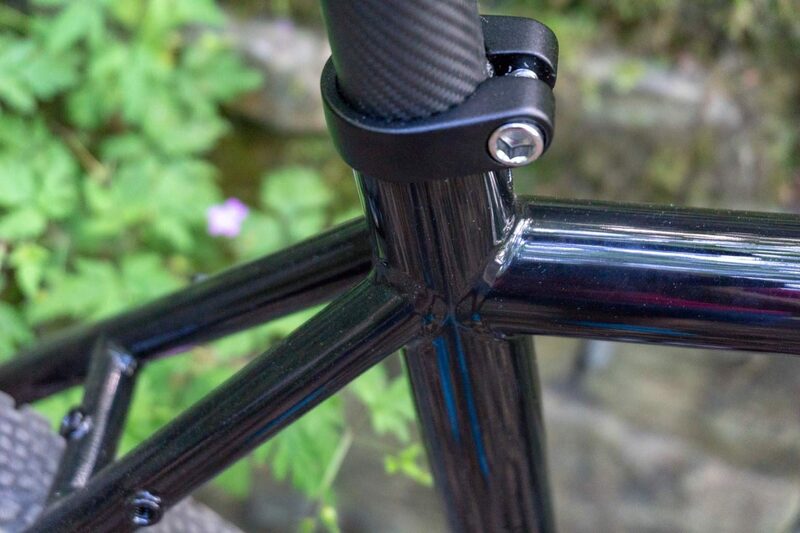 The 404 fork weighs 1.1 kgs with an uncut 300mm steerer.